Press Release – Austraw is going Green….. Bygreen. The impact of plastic waste on our environment is something we should all be concerned with. Since 1989 Austraw, formerly Qld Straw Factory has been either manufacturing or importing plastic straws and other food packaging products in Australia. The time has come, where we now need to make a change for the better, and even though over 60% of the products we currently sell are eco-friendly, such as our paper straws, palm leaf plates and wooden tableware. Austraw is now making a bold move to further reduce our single use plastic products sold. From the 1st July, we are giving notice to our customers/distributors, that Austraw will move to cease selling plastic straws, and other single use plastic items by the end of 2018. We will look to initiate this transition period for both our customers and suppliers to effectively reduce the standard plastic straw lines and fully replace with our Eco-Straw range by the end of 2018. Meets Customer’s Needs for an enjoyable drinking experience, without risk. Austraw is reviewing further “new” technologies as we speak, in the development of Drinking Straws, but we are not just leaving it there…. 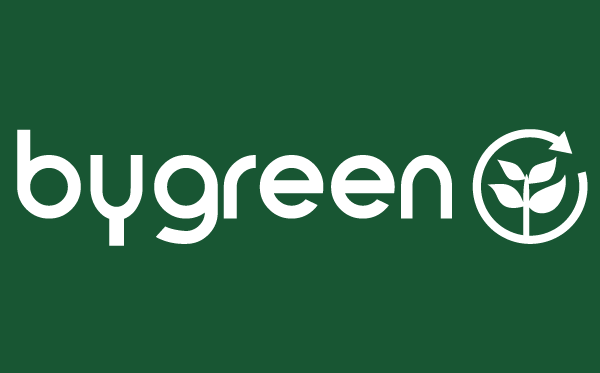 Our business is evolving, starting with a Trading Name-Change to Bygreen. As the name suggests, we will be investing in green products only in the future, from Re-usable, Compostable, Biodegradable and Sustainable green products, packaged where possible in green packaging. We hope our decision to cease selling single-use plastic items by the end of 2018 will make a difference, and we look for the support from our customers and the Australian public during this transition. We need to initially clear current stocks in our “Waste Not – Want Not” Plastic Clearance. We feel it is better we sell the current stocks we have, and these products are used “as intended” instead of simply ending up in landfill, and we encourage our customers/distributors to do the same. We are looking into a plastic recycling program aswell to assist in the recovery and recycling of the remaining stock of our plastic straws and other plastic straws sold by other parties. We will release further details about this program as it is developed in the near future. Austraw, soon to become Bygreen, will be the beginning of a new era. Not just a name change, but a conscious decision and shift to becoming more responsible in the products we source and sell to the Australian Market, and to hopefully make a difference in the care of our environment.